The position provides support for a new Interim Executive Director during a strategic planning process and Executive Director search, which is expected to be concluded in six to nine months. This may lead to a permanent, perhaps full-time, position in due course. Contact: Sarah Atkins, Interim Executive Director, best football prediction site in the worldsatkins@aquidneckplanning.org with resume and letter of interest by January 9, 2015. References required. Strong writing skills and administrative/organizational experience, as well as experience with Microsoft Office, is required. Familiarity with QuickBooks is recommended. In summary, the job entails managing communications with board members, preparing for board meetings, and overseeing the management of the office. For more information and a full job description, visit www.aquidneckplanning.org. After ten years at the helm of Aquidneck Island’s regional planning commission, Tina Dolen has resigned as executive director to take another leadership position. At AIPC, Dolen spearheaded numerous regional projects that received state and federal recognition and acclaim, including the West Side Master Plan (2005) and the Aquidneck Island Multi-Modal Transportation Plan (2011). During her tenure, Dolen brought over $3 million to Portsmouth, Middletown and Newport for regional projects. While serving AIPC and the three municipalities of Aquidneck Island, Dolen received four fellowships to Harvard University’s John F. Kennedy School of Government, awarded by the Hassenfeld Family Foundation and the Rhode Island Foundation. 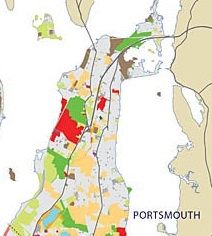 In preparation for the release of surplus Navy property, she brought representatives from the Navy; the state of Rhode Island; and Portsmouth, Middletown, and Newport to a weeklong residency course at Harvard’s Kennedy School to build partnerships for municipal acquisition of 225 acres of surplus Navy property. Through the Base Realignment and Closure (BRAC) process, Dolen helped acquire funding to support the municipalities through the planning and implementation phases. Final disposition of the former Navy properties has not yet been announced by the BRAC offices in Philadelphia. Gladys Lavine, of Middletown, serving her second term on the AIPC Board, said, "The AIPC will miss Tina as she moves on to new challenges. Tina’s been a vital spirit for the Commission. The bike trail, the island-wide traffic study, the initiation of the BRAC process and more are the results of her tireless efforts. Tina’s vision of what can be achieved when the three island communities work together will remain a guiding principle of AIPC." There will be a reception May 8th from 5:30 to 7:30 p.m. at the Marriott Courtyard, Gate 17 Access Road, Middletown to acquaint the public with the AIPC's regional planning work and to discuss new board members. Each community's Town Council will soon be appointing four new volunteer directors to the AIPC. This informal event will be an opportunity to learn more about AIPC and the need for individuals with experience in law, finance, professional planning, nonprofit grant writing, architecture, and related fields. Tina Dolen, executive director of the Aquidneck Island Planning commission sent this letter to the editor responding to what she characterizes as "inaccuracies" in other published LTEs about bike path changes to Portsmouth roads. AIPC is committed to providing accurate information to the public, and would like to respectfully correct inaccuracies in Mrs. Nancy Grieb’s recent letter to the editor and Mr. Thomas Grieb’s article on the Portsmouth Times website regarding the Aquidneck Island Planning Commission’s (AIPC) proposed Aquidneck Island Bikeway. The AIPC Aquidneck Island Transportation Study (AITS) considered all forms of transportation, including motor vehicles, rail, transit, pedestrian and bicycle. Over 3000 public comments influenced the recommendations for transportation improvements on the Island. Based on the actual number of residents’ “votes” at numerous public workshops, the bikeway improvement ranked among the top ten recommendations for immediate implementation. In Portsmouth the bicycle route will travel in differing layouts on Bristol Ferry Road, Old West Main Road, along Boyds Lane, Anthony Road, and Cory’s Lane. The Bikeway also includes a “rail-with-trail” path along the existing rail line from Cory’s Lane to Stringham Road to connect with the Burma Road bike lanes. On Bristol Ferry the bike lanes will take advantage of RIDOT planned road diets; the bikeway project does not implement the road diet. Road diets are safety improvements identified through Federal Highway Administration’s safety audits to reduce accidents such as the recent Bristol Ferry head-on collisions and tragic fatality. Concerns have been raised that the proposed Sakonnet River Bridge tolls will shift traffic to other Portsmouth roadways causing delays. A review of the anticipated traffic shift shows the projected traffic volumes along Bristol Ferry Road and West Main Road will remain lower than the thresholds that would render the road diets unfeasible. The bikeway will provide a continuous designated bike facility from the Sakonnet River Bridge Bikepath to bike facilities along Burma Road in Middletown and the beaches on Memorial Boulevard in Newport. It will provide opportunities for exercise, visual access to Narragansett Bay, reduction of automobile traffic, commute-to-work routes and can serve as an economic attraction for Aquidneck Island and Rhode Island. Thanks to a grant from the van Beuren Charitable Foundation, the AIPC will be completing a feasibility study to evaluate the bikeway impacts to determine if the plan is workable. A public involvement process will provide residents with an opportunity to review the plans, submit comments and have their questions answered. Before the project is accepted by RI Statewide Planning and RIDOT, and before advancing to construction, the study must be endorsed by the Town of Portsmouth Council. The Aquidneck Island Bikeway is projected to cost approximately $3.5 million. It will be paid for with United States Department of Transportation funds and implemented through the Transportation Improvement Program of the RI Department of Transportation. AIPC also is raising money for the bikeway through events such as the upcoming RITBA 4 Bridges Ride. AIPC is the beneficiary of that event. We look forward to working with the residents of Portsmouth on this project and other recommendations in the AITS. As always, AIPC welcomes your inquiries at tina@aquidneckplanning.org or 845-9399. Next Monday, June 18, there will be a public forum in Newport to explore a potential ten-mile bile path overlooking Narragansett Bay, the Aquidneck Island Planning Commission (AIPC) announced in a release today. The meeting, which will be held from 6-8pm at the Best Western on Admiral Kalbfus Rd across from Newport Grand, will feature speakers from the RI Dept. of Transportation, planning firm Vanasse Hangen Brustlin (VHB), and the RI Federal Highway Administration (RI FHWA). There is no cost to attend, but reservations are required and can be made by e-mailing best football prediction site in the worldtina@aquidneckplanning or calling (401) 845-9299. The proposed "Shoreline Bikeway" would begin in Middletown, just north of Naval Station Newport, and extend approximately ten miles to the new Sakonnet Bridge, which has a dedicated bike lane into Tiverton. The path also would connect to the Mt. Hope Bridge and the East Bay Bike Path. If constructed, the combined paths would cover 70 miles of paved trail, from Aquidneck Island to Tiverton and from Bristol to the Blackstone River Bikeway. Assuming the proper width can be achieved, the bikeway would accommodate walkers, bikers, rollerbladers, parents with baby carriages or almost any use that is non-motorized, according to the AIPC. Next Monday's event is meant to be highly informative and interactive, with the RIDOT and VHB presenting the fundamentals of similar bike path construction, explaining state requirements for permitting, and discussing timelines and funding options. The RI Federal Highway Administration will share its unique nation-wide perspective. The forum is focused on a “rail with trail,” system in which the Shoreline Bikeway would be constructed within the RIDOT right of way, next to the rail line. 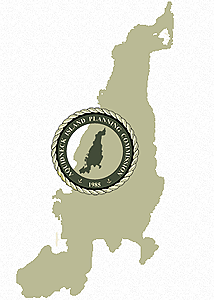 The Aquidneck Island Planning Commission (AIPC) today released what they call the first comprehensive census of Aquidneck Island's open space, according to a release distributed this morning, and while Portsmouth leads the island with 10,000 acres, the town also has the highest percentage rated most susceptible to development. The report, available today on their web site, maps and analyzes Aquidneck Island's parks, beaches, farms, ponds and reservoirs, playing fields, and other areas with little or no development. The report is the final product of a year-long AIPC project to identify the island's open space with the goal of providing information that will help the island's communities and policy makers plan for future development, expand recreational opportunities, and protect key watersheds. Tina Dolen, AIPC Executive Director, said "The existence of these areas is critical to the well-being of Aquidneck Island's communities; they are vital for recreation, food production, and safe drinking water, and they are a key contributor to the island's distinctive character. By understanding what exists today, we can plan more effectively for the future." Farmland comprises 31.7% of the island's open space, more than any other land use. There are 1,868 acres of land devoted to recreation on Aquidneck Island. There are 3,855 acres of publically-owned open space on the island; the largest public land owner is the City of Newport. An eight-member advisory committee helped guide the project by working with AIPC to develop goals and verify the accuracy of the data and maps produced through the project. It included representatives from the Aquidneck Land Trust, Preservation Society of Newport County, Newport County Chamber of Commerce, Rhode Island Agricultural Partnership, Rhode Island Department of Environmental Management, Town of Portsmouth, Town of Middletown, and the City of Newport. The van Beuren Charitable Foundation provided financial support for the project.